Misdiagnosis of parasitic infections remains a challenge in the Philippines, particularly in remote areas where medical technologists (MTs) may lack necessary expertise for accurate diagnosis of less common parasitic infections. This is further complicated by the lack of a formal referral system where MTs can verify their diagnosis. Misdiagnosis results in inappropriate treatment of patients, thereby contributing to continuing morbidity and infection transmission. Accurate and timely diagnosis of parasitic infections is essential for appropriate treatment, as well as for generation of accurate data to support advocacy and policy formulation for the prevention and control of parasitic infections. To address this challenge, a team from the College of Public Health and the National Telehealth Center in the University of the Philippines (UP) Manila, led by Dr. Vicente Belizario, Jr., has developed and is testing the Medical Teleparasitology (MTP) system through the grant provided by the Department of Science and Technology-Philippine Council for Health Research and Development (DOST-PCHRD). MTP uses information and communications technology (ICT) to provide a referral system that links MTs in peripheral laboratories to a pool of expert diagnostic parasitologists. Through the MTP, the MTs registered in the system can send the digital image of the parasite and their initial diagnosis which are then verified by expert diagnostic parasitologists. Digital images of the parasites are stored in the image bank which can be accessed by MTs for future reference. MTs in the peripheral laboratories also send monthly reports of parasitic infections which they have diagnosed. These monthly reports are stored in the MTP database which can be used to map the distribution of parasitic infections in the participating regions. These, in turn, may help in formulation or enhancement of policy for prevention and control of parasitic infections. Registered users also have access to the online Parasitology Forum, where users can discuss topics relevant to medical parasitology. MTP is able to capacitate MTs in their critical role of providing accurate and timely diagnosis of parasitic infections. 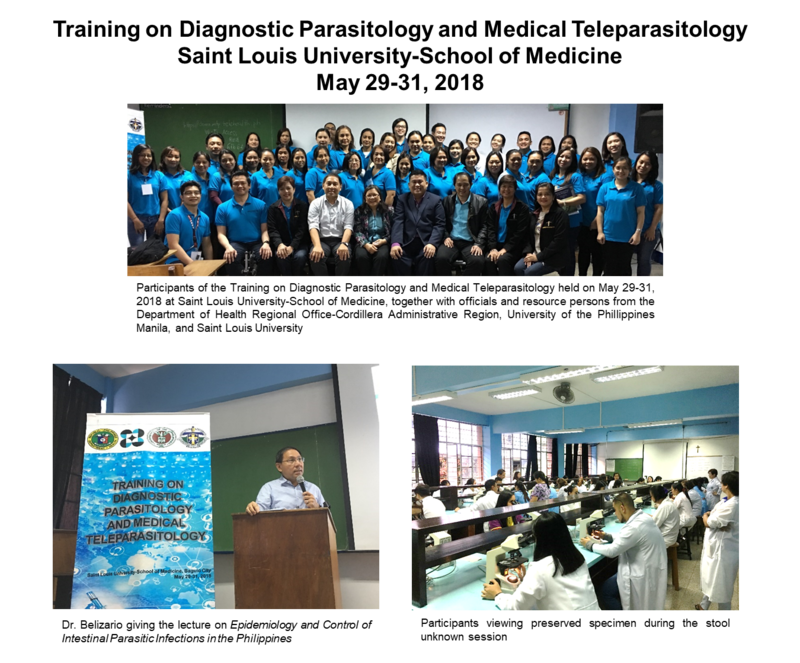 The MTP system is currently implemented in the Cordillera, Zamboanga, and Davao Regions through collaboration with the Department of Health Regional Offices and other partners, such as Saint Louis University-School of Medicine. If you wish to know more about the MTP system, please visit the MTP site at https://mtp.telehealth.ph/site/ or email at themtpteam@gmail.com">themtpteam@gmail.com or visit the Facebook page of DOST-PCHRD.
" The orthopedist who authored the "Fracture Classification Manual" now widely used all over the world was who? Ramon Gustilo, a Filipino surgeon who holds nine patents for artificial bone replacement systems. "